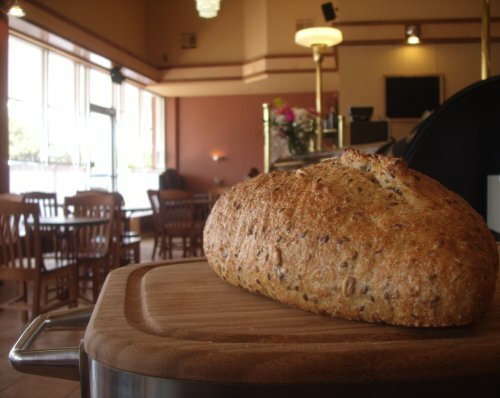 Since opening in 2008, Prairie Thunder Baking Company has been the preeminent artisan bakery in Oklahoma City. We make everything we sell fresh, from scratch and handmade, using the best ingredients we can find and using the tried and true Old World techniques. We bake every day we’re open, so what you see on our shelves was likely in the oven only a few hours earlier. We sell our products at our bakery café in Midtown, and we deliver baked goods to a number of the best establishments in the city. We can work with you to meet your bread and pastry needs, so please contact us. Our menu changes frequently to reflect the seasons. We keep a more current listing of our offerings on our Facebook page.